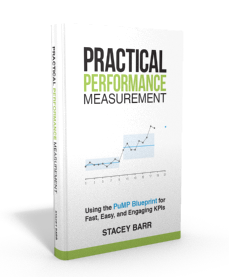 One objection to measuring performance with KPIs is that we don't need them; we can already see what's going on by walking around, by our past experience, by our wise intuition, by what people complain about. But our human limitations make these observations inherently biased. Seth Godin wrote a great little piece called Show Your Work,about why we should show people our work before it's done, before it's perfect, before it's ready. This invites their collaboration, and better work is the result. Do you do that when you work on KPIs? Using a social process is a very natural way to engage people in measurement, and it works so much better than presentations and meetings. 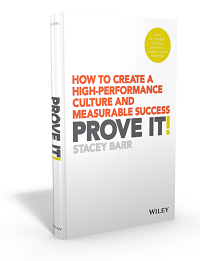 That's the topic of this Harvard ManageMentor video with Stacey Barr.